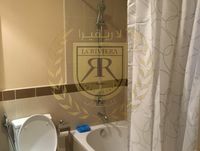 2BR Apt High Floor w. Burj Khalifa View! Downtown Dubai is perhaps the most popular and amongst the most iconic areas in Dubai. With Burj Khalifa as the centerpiece and the Dubai Mall with the adjacent Dubai Water Fountain drawing in millions of visitors a year, it is certainly the most popular area for local visitors and tourists. Downtown Dubai has lots to offer in terms of amenities. A true multi-national, modern, metropolitan part of the city. There is a wonderful touch of serenity in the Old Town sub-community opposite the Dubai Mall that provides a low rise relaxed living environment. A huge array of casual and formal dining options are available offering cuisines from around the world. The restaurants include world famous names from London, Paris, Monaco amongst others and house famous Michelin star chefs. The shopping is unrivaled perhaps anywhere in the world. Despite this, Downtown Dubai also has several quiet areas for residents to relax and for kids to play. 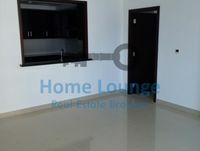 There are many types of apartments for sale in Downtown Dubai. The build quality is generally very high with mid rise and high rise buildings offering lots of amenities such as gyms, swimming pools, squash courts, communal cinemas, barbeque areas etc. 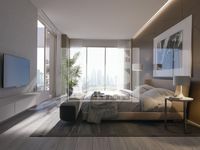 Studios and 1 beds are preferred by investors looking to rent out to younger office and executive level staff working in Downtown Dubai or nearby communities of DIFC (financial district) or Business Bay. Larger flats are available for families of various types including those that offer a podium level garden. The area is also popular with families due to the proximity of many schools, easy travel connections to the rest of Dubai and a huge array of amenities available locally such as cleaning and nanny services. Downtown Dubai, like any highly sought after luxury area, also has many spectacular penthouses. These penthouses can be up to 12,000 sq feet sometimes offering accommodation over two floors with breathtaking views and branded luxury designs. Consequently, Downtown Dubai apartments are seen as a popular safe haven investment offering good long term returns and are very popular with investors and end users. 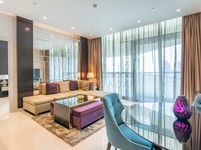 Prices vary based on the amenities in the building, its location (proximity to the Burj Khalifa, the Dubai Mall or other landmarks) and the views. Predictably the most expensive Downtown apartments for sale are in Burj Khalifa. Serviced apartments tend to be very popular in this area for both investors and end user buyers. There are also options for buying into a hotel apartment where by the units are fully managed by the hotel with the owners receiving a share of the income (typically higher than normal rental yields) and receiving a free period of usage (typically two weeks) per year.